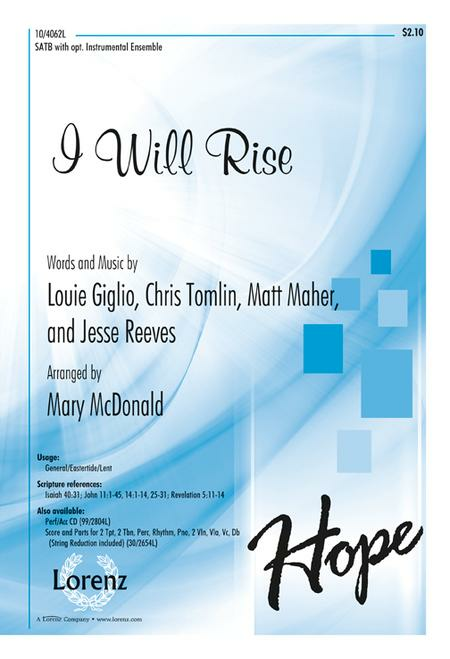 Composed by Louie Giglio. 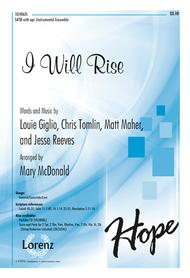 Arranged by Chris Tomlin. Choral. Sacred Anthem, Eastertide, General, Lent. Octavo. Lorenz Publishing Company #10/4062L. Published by Lorenz Publishing Company (LO.10-4062L). who only sing occasionally and are not fluent enough might find it over their heads. , entire congretation was standing. I Will Rise! 33 of 55 people found this review helpful.